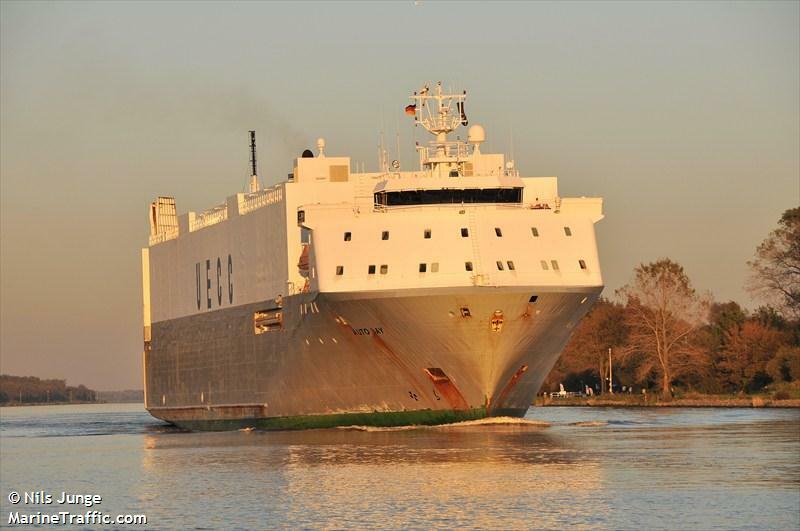 The 120 foot long, 85 gt utility vessel Int’l Hunter sank off the Sabine Jetties, Lousiana. 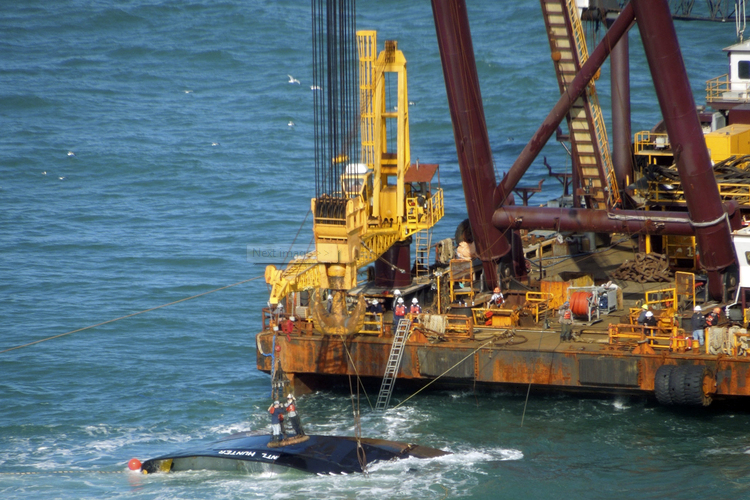 The vessel had struck a submerged object and sank sending the seven crew to the liferafts. The men were rescued an hour later and safely landedin Cameron, Lousiana. No injuries reported. 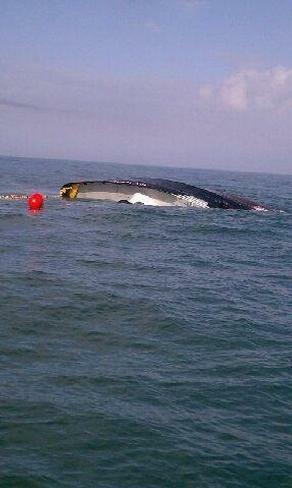 The Coast Guard confirms that some pollution was released. A sheen from diesel fuel was spotted and an oil recovery vessel was dispatched to the scene. 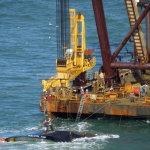 The owners of the Int’l Hunter have issued a plan to salvage the vessel. 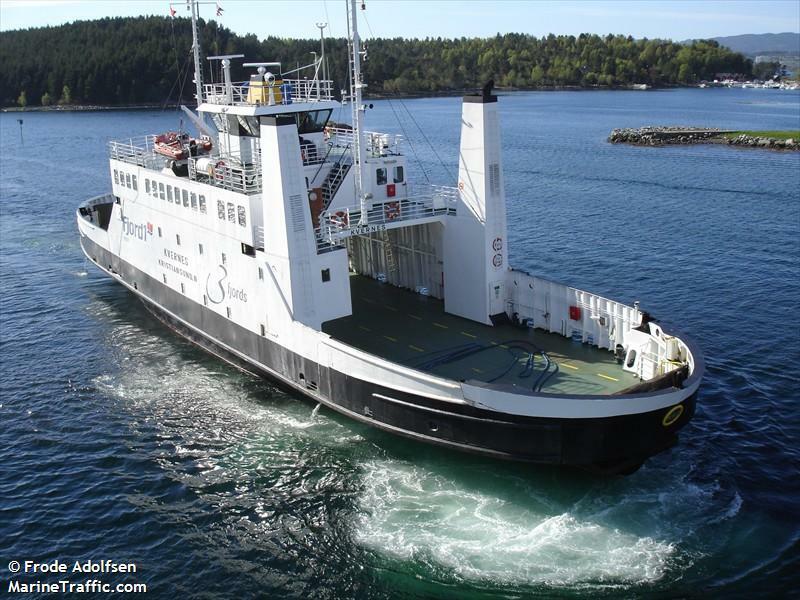 The 50 meter long, 183 dwt ro-ro ferry Kvernes went aground off Festøya, Hundeidvik, Norway. 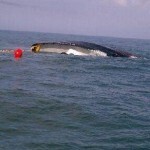 The Kvernes had just proceeded some 200 meters from the port when it struck bottom. The ferry was unable to refloat itself after attempting to shift vehicles on the deck. The seven passengers were taken back ashore. The vessel is to be released on the next high tide. No reports of injuries or pollution being released. Authorities have stated that alcohol was not a factor in the grounding. The 139 meter long, 7630 dwt freighter Auto Bay allided with the Brunsbüttel lock in the Kiel Canal. The Auto Bay was pushed by strong winds when it’s stern struck a portion of the lock. The lock had a steel cover damaged and the Auto Bay also received some minor damage. No reports of injuries or pollution being released. After a brief investigation, the freighter was allowed to proceed to its destination of Fredericia, Denmark the same day.